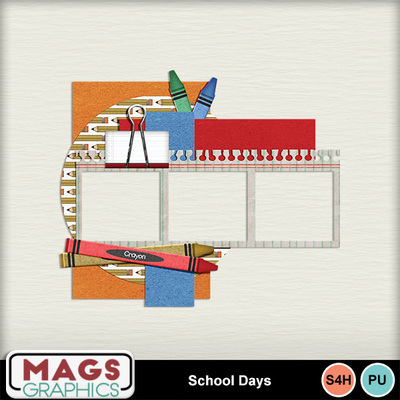 Accent your SCHOOL layouts with this large CLUSTER FRAME that matches the SCHOOL DAYS Collection by MagsGraphics! Just drop into your layout, add your photos behind it, and voila! Be sure to snag up the rest of this collection here at MyMemories.